Welcome and Attendance: Tom Hall, President, welcomed all at the meeting. Association Officers Jack Buchold, Secretary, Dave Miller, Treasurer, Terry Matter, RARA Representative, and Mike Scott, RTS Manager were in attendance. Board Members not in attendance were: Lew Gage, Lin Manning, Alby Redick, Aviation Classics, Tracy Rhodes, IT Manager, Dan Ross, and Ken Weigand, Vice President. Members/Guests In Attendance: Jan Bishop, Russ Earle, RTS lead airfield technician, Brian Kulpin, Bob Meurer of RTAG, and Paul Watson, attended the meeting. Special Guest(s): Ken Moen, RTAA GA Property Specialist, Laura Robb, RTAA Property Specialist, and Titus Roberson, RTAA. Glenn E. Dawson, of Valkyrie Systems Aerospace was our Guest Speaker. 2. Welcome RTAA Trustees: our new RTAAS representative is Shaun Carey, however, he was not in attendance. He replaces Bill Eck. 3. Minutes of Last Meeting: The Approval of the Minutes of the October 10, 2017 meeting was unanimous. 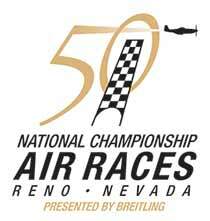 There was no meeting in September, due to the annual races held by the Reno Air Race Association. 4. Financial Report: Dave Miller reported there was $2,167.82 in our account. There was not much activity during the previous month. 5. Membership Report: Dave Miller reiterated that there were 123 names on the membership roster, however, paid renewals were far less, at about 60. 6. Program: Glenn E. Dawson, CEO of Valkyrie Systems Aerospace gave an extensive review of the new advanced drone technology to transform military operations and save lives. The advanced state-of-the-art command and remote flight control units support manned and unmanned air, land, and sea surface mission requirements for military and domestic partners. The unmanned EAGLE, or the manned GUARDIAN have aircraft, hovercraft, and amphibious capabilities that could be used in military, oil and gas, forest fire control, and other applications for safe and efficient delivery of equipment, personnel, or other field requirements. A modular grandchildren tested model was handed around, which was promptly dropped by an audience member, attesting to its durability. The video presentation was extremely interesting and elicited a number of questions from Terry Matter and Bob Meurer, among others. Their website is VSA.Space for further information. 7. RTS Manager’s Report: Mike Scott, RTS Airport Manager introduced Russ Earle, who is replacing Ed Martin on the field. Mike provided an update of the 8/26 activities, saying that they are at the 90% planning level for the documents to be bid shortly after Thanksgiving, placed before the Board in February for a decision on the almost $21 million project. The anticipated start of construction is March 1, with major activity completed by September 4, and final electrical and signage after the races. Construction is expected to proceed during daylight hours, there is no change in the size of the runway, and the maximum load bearing capacity will be unchanged as well, except for the nine reinforced parking pads for BLM aircraft. The whole project should be completed by the end of October, and open for the Air Races in September. He talked about the success of the Ruck March, where they received four and a half barrels of food for distribution. He also drew our attention to the back of the room, where he had examples and donor information sheets for the “Buy a Brick and Help Celebrate Our 75th Anniversary” project, a commemorative effort to be held until April, then the bricks will be installed in May by the flag pole. 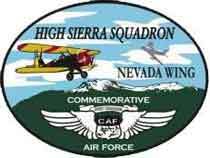 He also reported on a holiday party to be held in conjunction with the North Valleys Library, with books to be given out and a Santa Claus fly-in on December 16 from about 10 AM until noon. 8. RARA Trustee Liaison Report: Terry Matter provided an update on the Races, saying that attendance was down a little, which was attributed to having no military aircraft show. He was happy about the greater number of entrants in the Unlimited races, and said that final numbers would be available at our January meeting. The flying portion of PRS will be held Saturday and Sunday June 9 and 10, with classroom activities on the Thursday and Friday before. He spoke to the fact that the Minden airshow has a military dimension every year, but that is based on their floating show dates, planned with military aircraft dates of availability being the primary consideration. He said that the Thunderbirds will be our military show group in 2019. 9. RTAA Report: Ken Moen said that there were twelve hangar sales in the last six months, and a couple more were likely over the next few months, with new members being added to our airport community. He said that permits were still in process, but should be out soon. GAMS are now available on the RSAA website under the Airport menu item in the top menu bar. 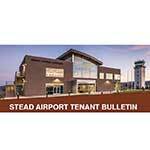 At Ken’s request, RSAA President Tom Hall prepared a generic hangar lease available for all RTAA tenants who have sub-tenants renting their hangars at Stead. Please access RSAA website at https://steadusers.org to download a copy. Please feel free to download and edit and customize for your particular situation. Laura Robb, RTAA Property Specialist said that she had nothing to report. 10. RTAA Trustee Liaison Report: Shaun Carey was not in attendance as our new Trustee Liaison, the replacement for Bill Eck. 11. Webmaster Report: Tracy Rhodes was not in attendance but had provided a report about the previous month’s statistics; we now had an SSL certificate installed, and our address is still https://steadusers.org. The fall newsletter is on our site under “newsletters”, and the hangar sub-lease example is under the airport menu below GAMS. Work Accomplished Statistics over the last month were: five articles were published, 1,200 spam attempts to access the site were deleted, an increase of 450 since the previous month’s 750 and the website software was updated 14 times. There were 525 visits by 395 different users, 220 (42%) of those visits were by mobile devices. Tracy said there were 2,150 total page views with the most visited pages, an increase of 632 views: For Sale 902, Home Page 331, Ruck March 129, Airport Businesses 34, Aviation Medical Examiners 55, Calendar of Events 24, Contacts 33 and Join/Renew not noted. Tracy is now in the Web Hosting business, if you need web site assistance or a new web site developed, please give Tracy a call. 12. RTAG Report: Bob Meurer noted that they had handed out a scholarship at a recent meeting, and there was a “flying challenge” activity underway. He invited all to review their website for information on both. He introduced Brian Kulpin who discussed the “Operation Santa Claus” activity on December 9, from 11 AM to 1 PM at RNO; they were working with the Children’s Cabinet and provided two handouts about it. He invited us to be part of the activity, donating games, trees, food, providing aircraft or volunteering for the toy drive at Atlantic Aviation where they stage aircraft, taxi to the hangar, and await the arrival of the C-130 with Santa Claus and his wife. We could adopt or sponsor a family to assist in the holiday season support. To RSVP or learn how you can help, contact Brian Kulpin at (775)328-6401 or bkulpin@renoairport.com. 13. Next General Meeting: President Hall thanked all for their attendance and noted that there will not be a regularly scheduled meeting in December, but the next one will be January 9 at 5:15 PM.